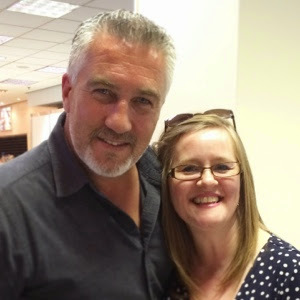 North Northamptonshire based food blogger who is obsessed with good food and proper cooking. 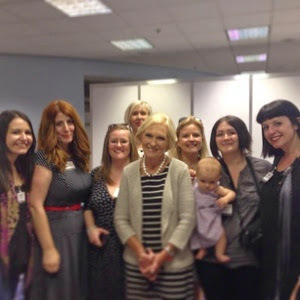 I'm part of the Midlands Blogging team for the BBC Good Food Shows. 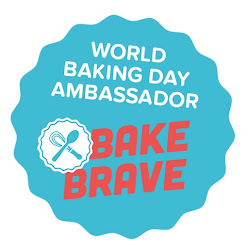 This is where I share my own recipes and carry out recipe development and product reviews for brands, including food and wines. Please contact me using the link below. 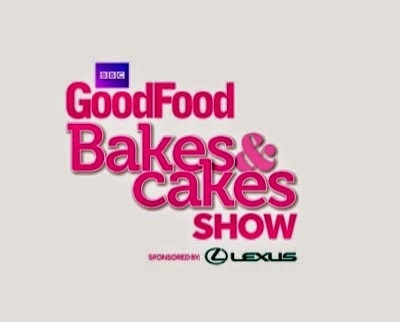 I spent a wonderful Thursday on 12th June at the BBC Good Food Show at the NEC in Birmingham as part of the BBC Good Food Show Blogging community. 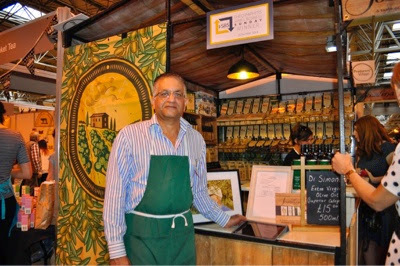 It's a show that I thoroughly enjoy going to each year; walking around, taking in the sights and smells of some of the amazing food on display, and sampling the delectable delights of producers who put their heart and souls into their products in which they truly believe. Each of the Bursary Award Winners are young companies with small turnovers, but who have a fabulous product to bring to the market. It's a tough competition as they are given a complimentary stand at the show to help grown their businesses. I'm sure it's such a difficult decision for the judges to choose their worthy winners. 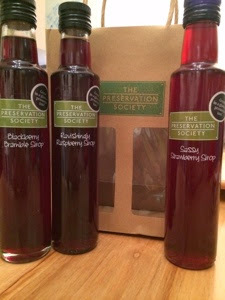 Firstly, we were introduced to The Preservation Society, which was set up by Angharad Underwood during her maternity leave from work. She produces an array of preserves, syrops and chutneys, many of which we were able to taste and enjoy. I later went back to Angharad's stall and treated myself to three bottles of her delightful syrops to enjoy later with some added sparkling water. Next we were introduced to The Cornish Charcuterie Company, which is run by a husband and wife team, Richard and Fionagh, both former city bakers, who moved themselves and their family to a 350 acre farm in Bude, Cornwall to follow their food passion and dreams in an all together, slower and more organic way of life. 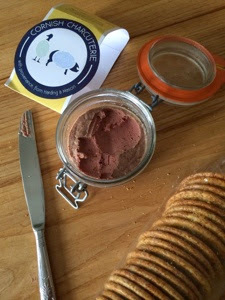 They produce a range of pâté, salami, chorizo and rillets using pork and beef that they rear on their farm. Other products used in manufacture are sourced as locally as possible too. I love the story behind the creation of their logo. The thumbprints used as the body of their animals is in recognition of their hands on approach to their animals, their farm and their business. I'd already bought myself a jar of the chicken liver pâté to bring home and enjoy prior to being introduced to Richard. I can thoroughly recommend this to pâté lovers everywhere; it's delicious! 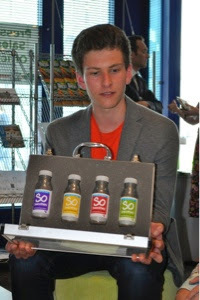 Next we were inspired by 19 year old Founder and Managing Director Ben Nichols who set up So Smoothies from his parent's Nottingham kitchen at the age of 17. Initially created to quench his own thirst, Ben (after tidying up the mess he made in the kitchen before his mum got home) approached local shops with his samples and now sells to 45 outlets locally and UK wide. The smoothies are non pasteurised and preservation free so provide a healthy, fresh tasting drink. We sampled each of Ben's current varieties, all of which were really lovely. Soon to be launched, as the first in the UK, is a 30% reduced sugar smoothie which uses Stevia to replace the sugar, making it a healthier alternative. I wish Ben a huge amount of success with this launch. Our final Bursary Award Winner was Nik Sinclair from Sinclair Condiments in Milton Keynes who brought us a curious Hot Banana Ketchup to taste. After the initial banana taste, you're greeted with the heat of the chilli which provided the most bizarre combination, but one that really does work! 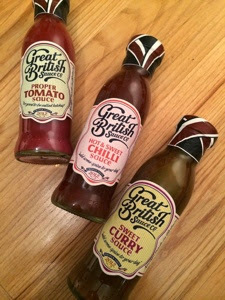 Along with a Roasted Red Pepper sauce, they also produce a range of 10 sauces to include Sweet Chilli (hot!) and Tomato Ketchup along with a Scotch Bonnet sauce to really fire up your taste buds! 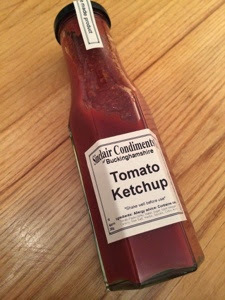 I was given a bottle of their Tomato Ketchup to bring home and try. 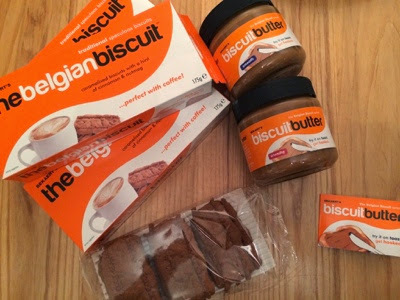 My daughter loved the taste as it has a much higher tomato content and less sugar than the leading market brand. This is still produced in small batches from his home. 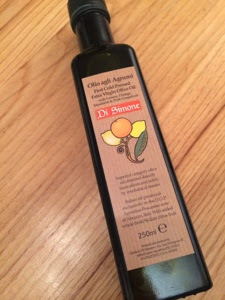 Some amazing Italian citrus olive oil from Soralina, winners of Theo Paphitis Small Business Award. More on this in another post where I'll share with you a recipe for their citrus olive oil, lemon and rosemary cake which I've developed. My new, incredibly sharp and delectably gorgeous I.O.Shen knife which is not just beautiful to look at, but an absolute dream to use. 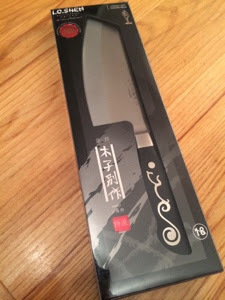 So much so, that I don't think I've actually used another knife to prepare food with since this arrived home with me. A worthy investment indeed! Thanks for visiting my site. If you cook any of my recipes yourself, then please remember to come back and let me know what you thought. The recipes contained within my blog have been tried and tested, tweaked and tinkered with. Many of these I have been cooking for my family for many years. I do not (unless otherwise stated) re-publish other people's recipes and pass them off as my own as I respect their right to ownership. Please afford me the same courtesy and do not publish my recipes or images, without my specific, written, permission. Copyright Rosemary Guthrie (AKA Freycob) 2011-2013. Simple theme. Powered by Blogger.